The plans for the Museum at the Gateway Arch are part of a renewal of the National Park’s landscape. Cooper Robertson and James Carpenter Design Associates (JCDA) with Trivers Associates released a sneak peek of their renovation of the former Museum of Westward Expansion, located at the site of the 192-m (630-ft) Eero Saarinen-designed Gateway Arch in St. Louis, Missouri. The design firms were selected for the project in 2010 after winning the City+The Arch+The River International Design Competition as part of Michael Van Valkenburgh Associates’ (MVVA’s) team. 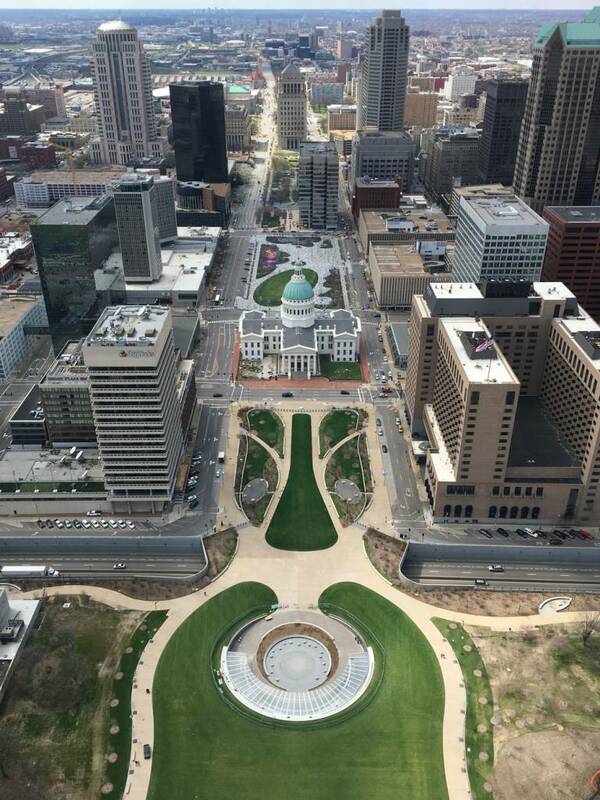 The renovation will strengthen the connection between St. Louis and its Gateway Arch. 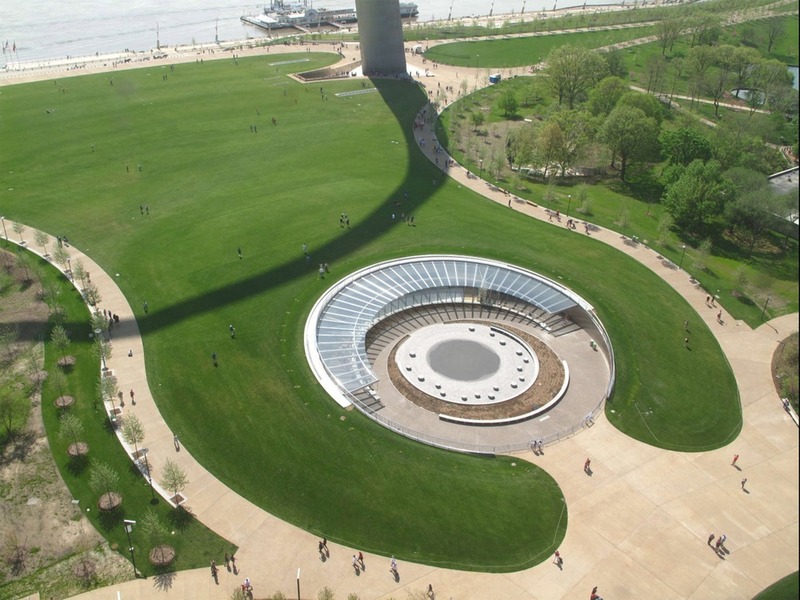 The design, which is intended to strengthen the connection between St. Louis and its historic Gateway Arch, adds nearly 4181 m2 (45,000 sf) of new museum space, while also reconfiguring more than 9290 m2 (100,000 sf) of existing area into new exhibition galleries, public education facilities, and visitor amenities. According to Scott Newman, lead architect with Cooper Robertson, the new Museum at the Gateway Arch reinforces a more modern telling of American history with a more inclusive viewpoint. Across six exhibit areas, the reimagined and interactive installations will emphasize the perspectives of women and indigenous American peoples, as well as the historic pioneers and European settlers of the American West. 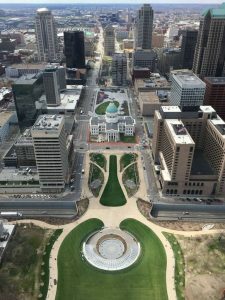 The improvements at the museum are part of MVVA’s comprehensive expansion and renewal of the National Park’s 91-acre (36.8-ha) landscape, which features improved connections to downtown St. Louis. The renovations will expand the museum west towards the city, with a new entrance opening onto the neighboring Luther Ely Smith Square. The museum is slated to open July 3. Check out the project’s time-lapse construction, courtesy JCDA.